← The itch factory is closed. 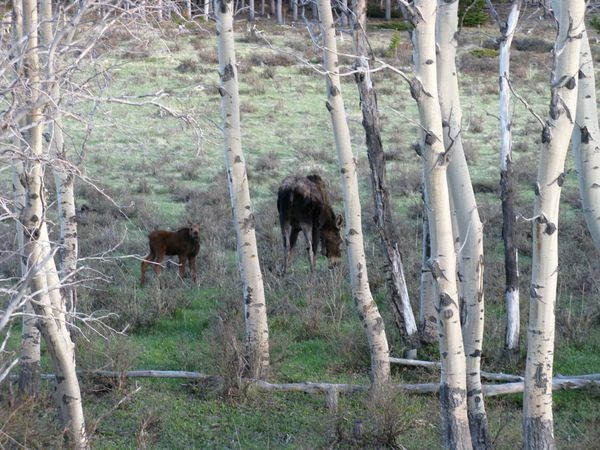 Frankly, this moose is more mangy than majestic. His coat is scraggly because he is shedding his winter coat, his ribs are showing because the grass is just greening up, and he is (I think) a yearling so is gangly and awkward. But he will be majestic…someday. 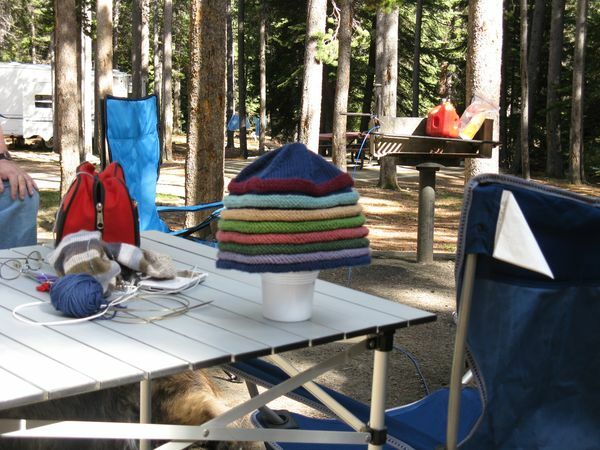 This entry was posted in Animals, Community knitting, hats, knitting, Vacation, Wyoming. Bookmark the permalink. 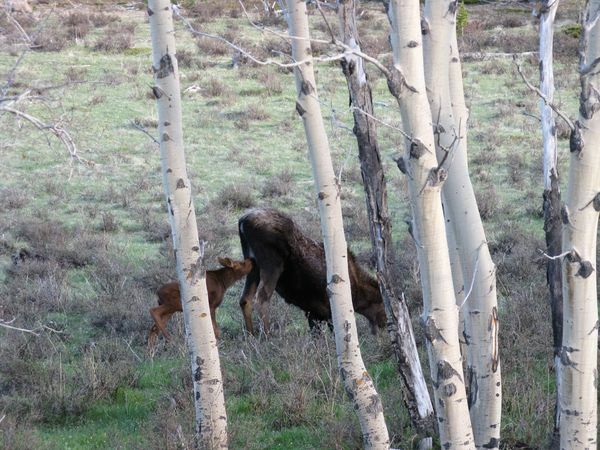 Great moose pictures! It really looks like a little bit of heaven there in Wyoming. Looks like you’re having a wonderful holiday! Must know! What books are in that stack? Now that’s how one should go on holiday. Buckets o’ yarn and wine. Enjoy the vacation! Hope you get through the stack of books and some of the yarn. I SOOO recognize the trees amongst which you rest. What a great time–from your Charles Shaw to that awesome hat you’re making. Enjoy that crisp air! Awwww 🙂 I have a special fondness for moose. That is the way to spend vacation: wine, books, yarn, wildlife. Excellent!! Enjoy! That hat is adorable!! Awesome moose! Camping is all about finding a place for the essentials. Is the tinfoil hat working? Wine, books, knitting, and moose. 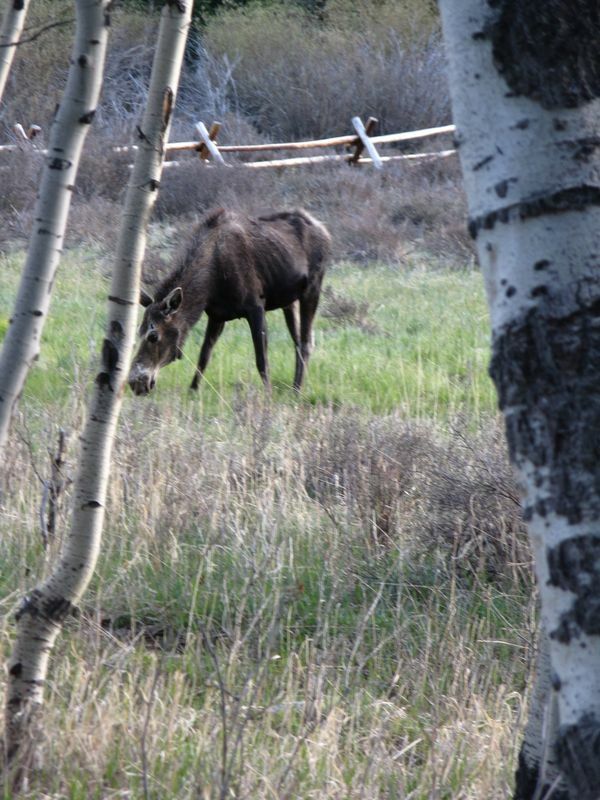 Meese? All wonderful, whatever their forms. Glad to hear the itching has ceased! Oh man. I want to go camping with you. You’re my kind of girl. 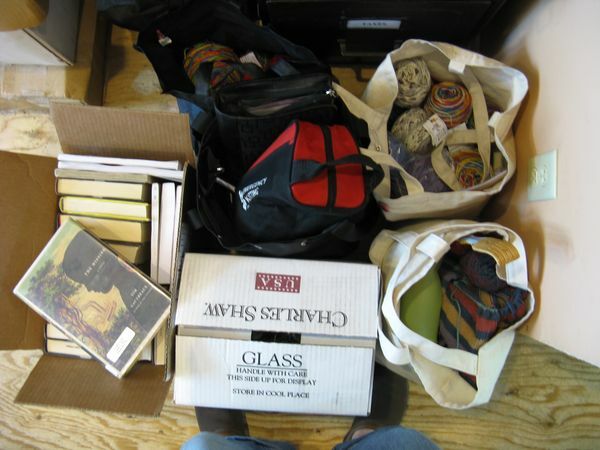 Boxes o’ wine, boxes o’ yarn! 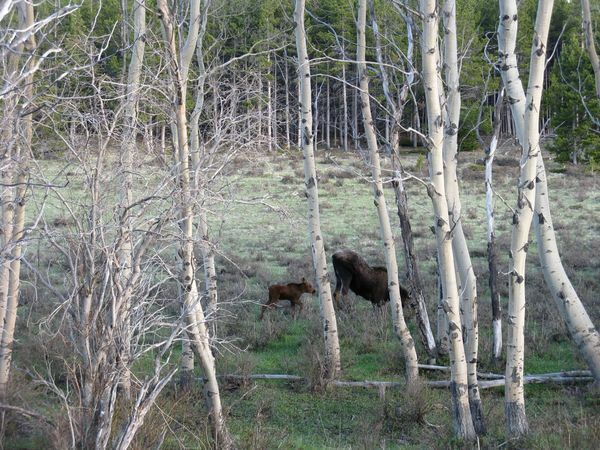 Aw, what great moose photos! The hat in the first photo? Num, num, nummy! The moose reminds me of home!